What does Dakhil mean, details, origin, short & easy attributes? Dakhil is a Muslim baby Boy name, it is an Urdu originated name. Dakhil name meaning is Foreigner, stranger and the lucky number associated with Dakhil is 5. Dakhil is baby boy name mainly popular in Muslim religion and its main origin is Arabic. Dakhil name meanings is Foreigner, stranger. People search this name as Dakhil. Dakhil is written in Urdu, Hindi, Arabic, Bangla as داخل, दाखिल, دخیل,داخيل, দাখিল. Other similar sounding names can be Dakheel. Each letter meanings in Dakhil Name. Popular personalities with Dakhil Name. Vian Dakhil is an MP. 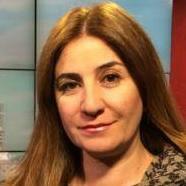 Vian was born Vian Dakhil in 1971.